CALECHE USA is extreme proud to introduce the SkyLite. 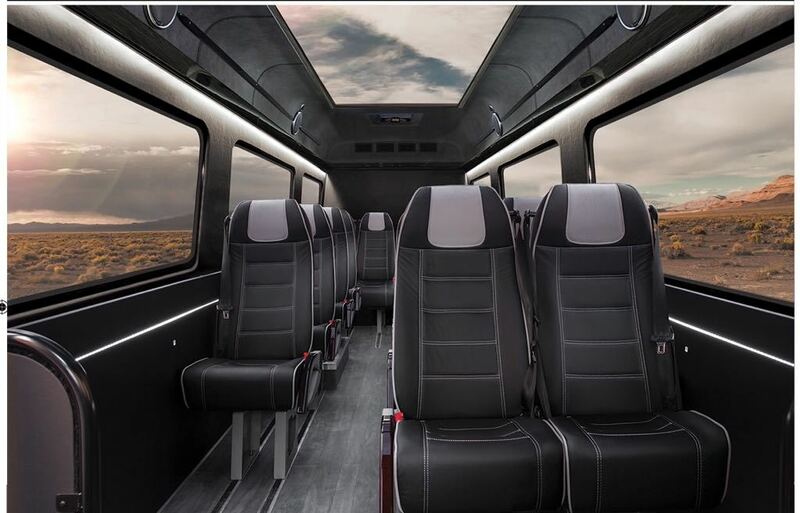 The First Luxury Panoramic Shuttle of its kind! Another Panoramic going to San Francisco! 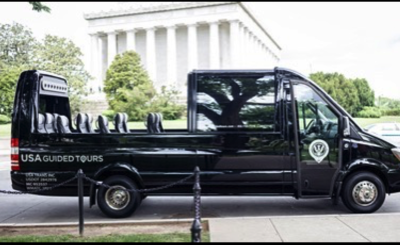 San Francisco is loving the Panoramic with 3 different companies now using the Panoramic for Luxury Sightseeing and Wine tours. Miami takes delivery of first Panoramic! Going to Miami! The First Convertible to Change the game in Miami! 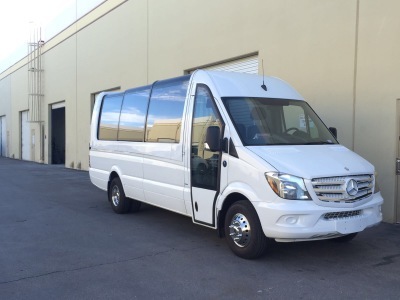 Touring in Denver just got an upgrade with the first Panoramic Sprinter from Caleche USA Inc. Thank you Davey Coach Sales! Tenaya Lodge in Yosemite takes delivery of 2 Panoramics! 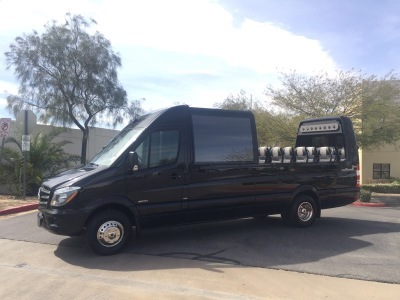 Davey Coach Sold 2 Panoramic Sprinters to Tenaya Lodge in Yosemite who wants to offer their guests truly unique Panoramic Tours. 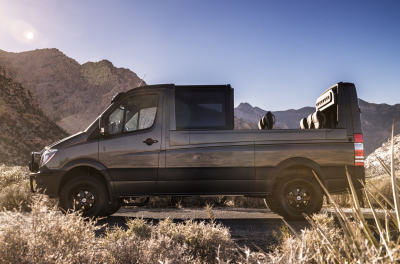 Mercedes-Benz Fairfield and Caleche USA team up again! 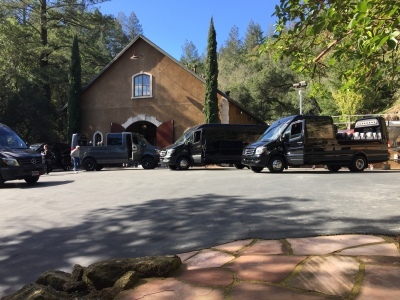 After a succesful event last year Mercedes-Benz Fairfield invited Caleche USA ones more to a truly wonderful event where both the Convertibles and the Wine tasting stole the show! Louisiana Motorcoach takes delivery of 3rd Panoramic! 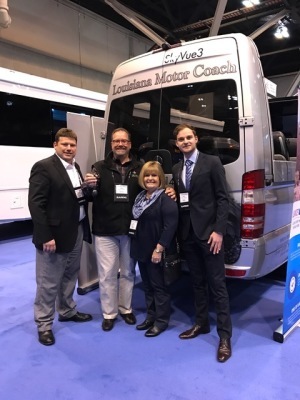 Louisiana Motorcoach Purchased their 3rd Panoramic after succesfully launching a Luxury Tour in Louisiana for incoming tourist via plane and Cruise Ship. 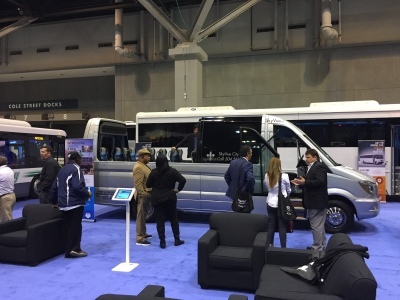 CALECHE USA & ALLIANCE BUS GROUP teamed up to exhibit at the UMA SHOW 2017 in St Louis. CALECHE USA Inc. presents THE VENTURE, allowing for a more personal panoramic experience. 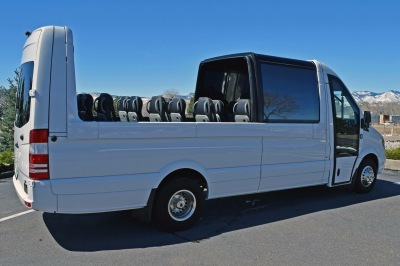 This fully customized vehicle has 4WD allowing for convertible tours off road! CALECHE USA Inc. becomes official dealer and service center for BCE Plug Doors. 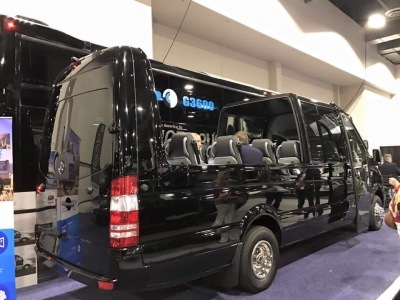 This allows customers to upgrade their Mercedes-Benz Sprinter with a BCE plug door. LOUISIANA MOTORCOACH takes delivery of their first of a total of 2 Panoramics! NAPA VALLEY WINE COUNTRY TOURS takes delivery of their beautiful Panoramic! WINDY CITY LIMOUSINE in Chicago taks deliver of their first Panoramic bringing a game changing addition to the Chicago Limo industry. CALECHE attended the LCT show 2016 for the first time with great success! Multiple orders were signed and people across the industry welcomed the panoramic shuttle into the industry. 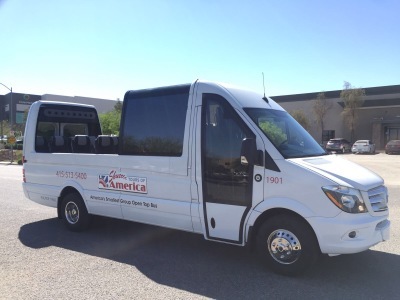 CALECHE USA Inc. tours around California and introduces all interesting parties to the Panoramic Shuttle bus! 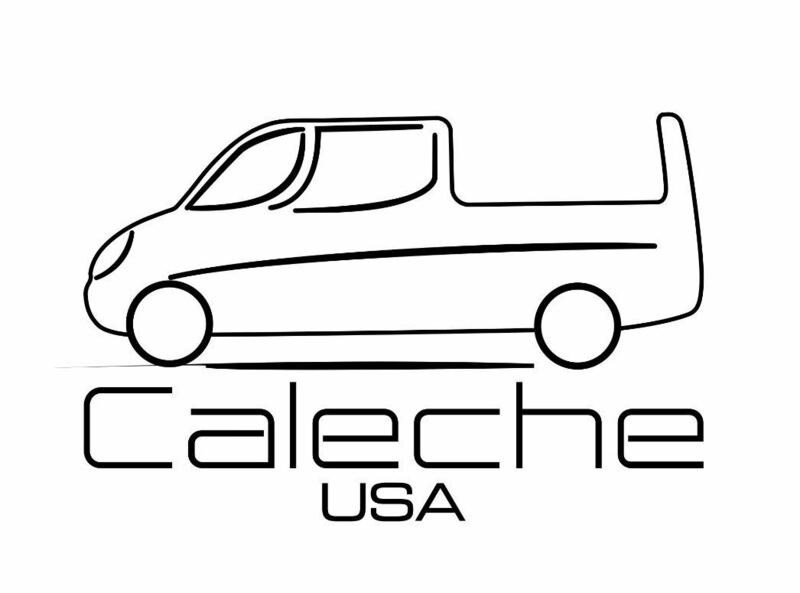 CALECHE USA Inc. starts is operatons in the USA aiming to introduce a new chapter of the minibus industry to the USA.